More Todd Terje! 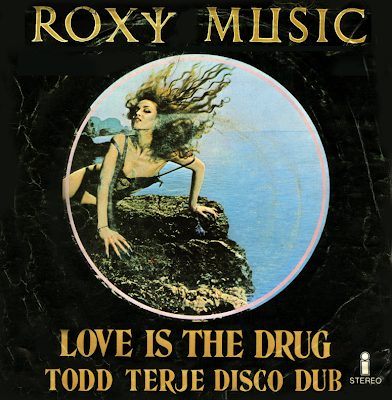 Following on from a series of hugely popular 12" remixes of Bryan Ferry tracks in 2011 comes an exclusive Roxy Music remix 12" vinyl.Featuring an absolutely essential, epic remix by man-of-the-moment Todd Terje, whose edit of Roxy's "Love Is The Drug" gives the evergreen club classic a contemporary twist and is a must-have for anyone who snapped up his remix of Bryan Ferry's "Alphaville". On the flipside is a psychedelic, hypnotic, Balearic-style reworking of Roxy's "Avalon", by Norwegian dub-disco doyens Lindstrom and Prins Thomas.